Do you have a new smart speaker powered by Google Assistant? Awesome! These devices offer a number of ways to interact with your online accounts via voice activation and are truly fun to use around the house. However, some of the features aren’t as obvious as you might think: like setting your default app of choice to play music. This tutorial will walk you through the simple steps to make sure your favorite app for music is the one that your new Google-powered speaker uses when you ask to play songs or albums. Once enabled, you’ll have your personal choice in music apps ready to belt out your playlist with just a voice command. Set aside a few minutes and grab your Android device. Now we are just 6 steps away from achieving our goal: setting your default music app in Google Assistant. Find the Google Home app on your phone and open it up. Hit the User Account icon in the bottom right corner. Find and select Settings in the General Settings section. Tap on the Services tab at the top of the screen. Click Music in the list on the next page. You should now see all your linked music apps and pick your favorite. Congratulations! You’ve now successfully found and set your default music application for Google Assistant. For me, that’s still Google Play Music, but many of you may have already made the transition to YouTube Music. Or maybe you use some of the other popular options that Assistant plays nice with like Spotify, Pandora, and iHeartRadio. Not sure if your app of choice is supported? Simply ask Google. 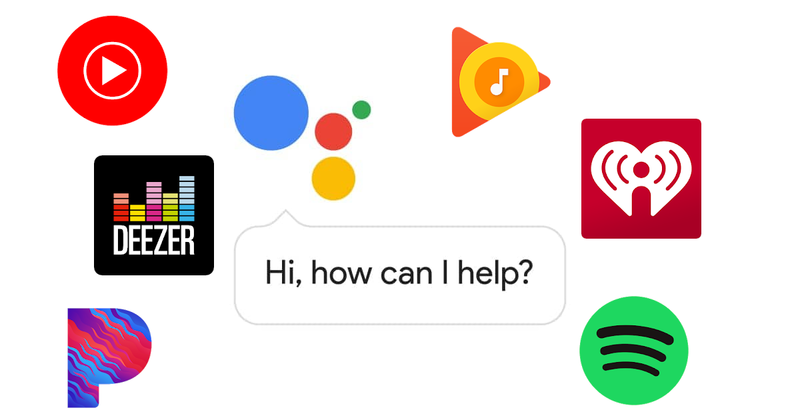 Assistant will let you know if your music portal is able to communicate with Google’s AI units. Good luck and happy listening!